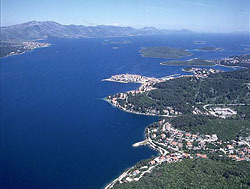 Bay Crnja Luka is situated on the north west part of Korcula island. 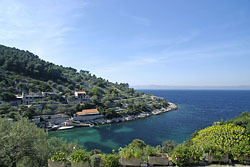 Located 45Km from Korcula town, 10Km from Vela Luka and only 5 km from Blato. Zlako Bačić and his family live in Crnja Luka. 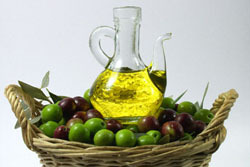 Except offering private accommodation they produce wine, they have a wine cellar and they also produce olive oil. Mediterranean cuisine and our traditional ways of preparation are the result of our many years of training in, and working in, our own restaurant. Tasting of our products is professional organized in the beautiful ambience of our properties. We offer hospitality and family warmth of our home, southern charm, gastronomic and enologic pleasures mixed with beautiful nature. Accommodation and board: Halfboard, Mediterranean cuisine with most of the products being our own produce. Open terrace for clients. Private beach with mooring places. 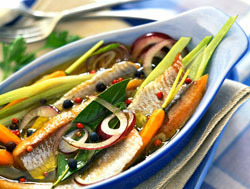 The gastronomic offer of the region represents tradition in our kitchen; traditional fishermen and Mediterranean meals. The climate is mild; an average air temperature in January is 9.8 °C (in the town of Korcula) and in July 26.9 °C; the average annual rainfall is 1,100 mm; the annual insolation reaches 2,671 hours (Vela Luka). The island is largely covered with the Mediterranean flora; at some places are pine forests. 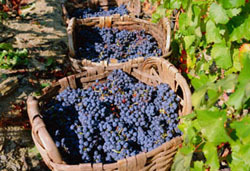 Economy is based on farming, viticulture, fruit growing, fishing and fish processing, shipbuilding, processing of synthetic materials and tourism. Summer tourism has a long tradition on the island; nautical tourism has been recently developed.